Scientists have developed a new technique to examine the effects of chemicals on digestive systems of fish and support research into gut related conditions. The technique also has potential to reduce the number of animal experiments, in line with the principles of the 3Rs (Reduce, Refine and Replace). There is a growing scientific, public and regulatory concern about dietary uptake of chemicals. But to implement legislation to assess the toxicity of some chemicals requires thousands of fish and there are currently no reliable alternative methods to assess their accumulation and toxic effects in the gut without using live animals. Now researchers at the University of Plymouth, working in partnership with pharmaceutical company AstraZeneca, have for the first time successfully cultured and maintained cells from the guts of rainbow trout, a recommended fish species for toxicological studies. They then demonstrated that under laboratory conditions, they could maintain the cells' function for extended periods while also growing new cells which could be used in future tests to assess the impact of environmental pollutants such as chemicals or plastics which enter in the body via diet. The results of the study, led by Postdoctoral Research Fellow Dr Laura Langan and Professor of Genetic Toxicology & Ecotoxicology Awadhesh Jha, are published in Biology Open. Professor Jha said: "This is a significant step for the 3Rs approach and our model can reduce the total number of fish required, potentially replace the in vivo studies and offer the refinement that live fish are not exposed to potentially toxic chemicals. 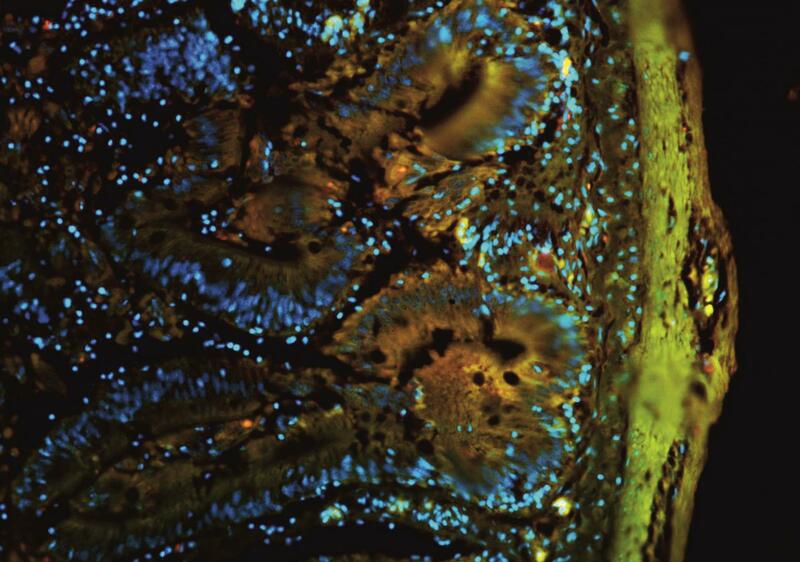 Intestinal permeability, microbiota and immunology play an important role in maintaining the gut environment. But the intestine is also an important route of exposure to potentially harmful chemicals, and they can easily accumulate in tissue where they become toxic to their surroundings. If this environment is harmed by chemicals, such as through damage to gut cells, it could impact the health of the organisms and would lead to a number of fish diseases but this technique will enable us to increase the tests we can carry out and improve our understanding of how to preserve gut health." Dr Stewart Owen, Principal Environmental Scientist at AstraZeneca, added: "We are working to develop sustainable tools to help us better understand the impact of pollutants; and we must do this using the best science available. Laura's success in developing this technique is creating a fantastic opportunity for many other fields of research to build on." This builds on previous collaborations between the University and AstraZeneca, through which researchers have isolated and grown trout liver and gill cells. Taken together these methods enable the researchers to address key questions about how chemicals in the environment can enter a fish, and better understand the implications. It was conducted with funding from the Biotechnology and Biological Sciences (BBSRC), Natural Environment Research Council (NERC) and AstraZeneca. The researchers say that these cell cultures are already letting them address tissue specific investigations into gene expression and response, enhancinge basic understanding of these fundamental organs, and in turn providing information to help better protect the environment.